The Big Idea: focus on fundamentals and execution (The Standard of Performance), instead of focusing on the score and on the competition. Failure is a part of success. Everyone gets knocked down. The Standard of Performance is the set of core values, principles, and ideals that define the organization. Implementing the Standard of Performance is more important than any strategies and tactics you might implement. 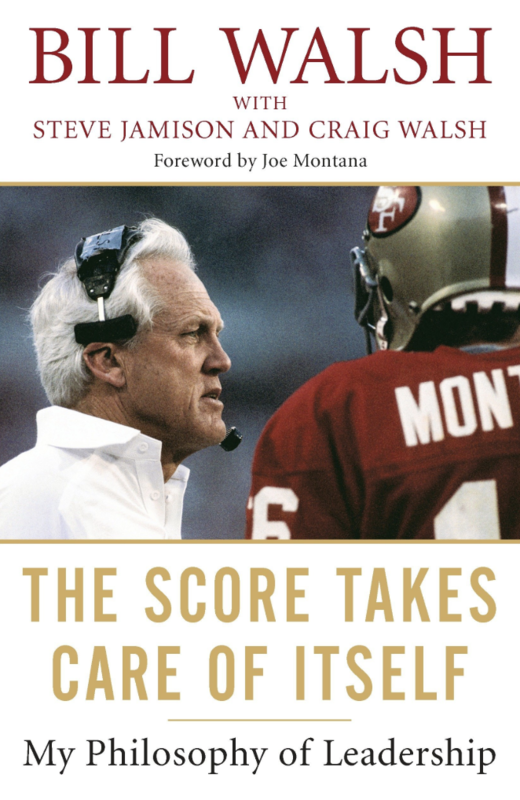 Bill Walsh wanted the 49ers to be the pinnacle of professionalism in the NFL. Practices were precise and demanding, never sloppy. Continuous improvement was more important than victory. Character, intelligence, work ethic, and fit was more important than raw talent. The leader’s job is to teach and to encourage everyone else to teach. Champions behave like champions before they are champions. If you place a premium on fundamentals and consistent execution, you can perform reliably in big games and in big moments. Innovation is often born out of necessity and resourcefulness. Contingency planning was one of the 49ers’ secret weapons. Be prepared for anything. Hail Mary’s are not a strategy. Analyze your vulnerabilities and take action to counter or protect them. The truth is hidden in the numbers. Follow key metrics more closely then big milestones or wins/losses. There are many equally valid leadership styles. The common trait, however, is an indomitable will to succeed. Know when to persevere and know when to quit. It’s a delicate balance that requires distinguishing a good plan from a bad plan. Sweat the small stuff, but only the small stuff that actually matters. Leaders must be both subject matter experts and delegation experts. Leaders teach others and show the entire organization how to teach each other. You don’t need to shout, stomp, and strut to be a good leader. Joe Montana was a quiet but incredibly effective leader. Know that humor has its place. Show interest in your people and their families. Praise is more powerful than blame. Discipline is based on pride in the profession and attention to details. Officers must be seen on the front lines during action. Bill Walsh’s praise was sparse but meaningful. Employees thrive in an environment where they know exactly what is expected of them. Being a good listener is the key to good communication. Don’t let rank, titles, or status impede open communication. Leadership is about teaching skills, attitudes, and goals to the organization. Persistence is essential because knowledge is rarely imparted on the first attempt. You must drill over and over. High expectations of your team are the key to winning. Let your people know they are part of something special. You are only as good as your people, so hire only the best. Traits to look for in hires: skills, energy and enthusiasm, ability to spot talent, ability to communicate, loyalty to others. How to keep people working well together: clear expectations, open communication, flexibility in method (but not core values), alignment with core values. Be aware that success can breed over-confidence and complacency. Ego can kill an organization. Never ignore the front-line (guys in the trenches) because they will generally pave the way to success or failure. There are times to sprint, but success is more like a marathon than a sprint. You can’t teach work ethic or willpower. Don’t waste energy on enemies. Focus on the process, not the prize. Make your own mentors by seeking out experts and asking questions. Jerry Rice and Joe Montana are in the Hall of Fame because of their focus on fundamentals. The starting point for everything is work ethic. Teach your team how to teach their team. Build an organization of teachers. What goes around comes around. Treat people well. Know how to delegate well. Eliminate bad hires or toxic people quickly and compassionately. The best marketing strategy is to build a good product. Don’t expect quick results. Building a winning organization takes time.